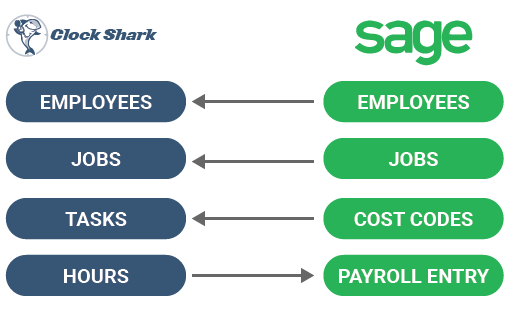 What Data Is Imported When I Integrate ClockShark and Sage 100 Contractor? The cartoon below explains how data is exchanged between ClockShark and Sage 100 Contractor. Once each item is appropriately mapped between each account, you will be able to easily export hours to Sage 100 for payroll, invoicing, and job costing.